Institute of Health Sciences is Nationally Accredited by the Accrediting Bureau of Health Sciences, an accrediting agency recognized by the U.S. Secretary of Education and the Council for Higher Education Accreditation. The certificate in Neurodiagnostic Technology is accredited by the Commission on Accreditation of Allied Health Education Schools. 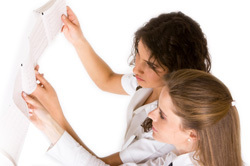 What Do I Need to Know about Accreditation ? Accreditation is your assurance that the Institute of Health Sciences meets quality standards established by the U.S. Department of Education and the Council for Higher Education Accreditation. Accreditation is a status awarded to an educational institution or a program that has been found to meet or exceed stated standards of excellence and quality in educational practices. National Accreditation and programmatic or specialized accreditation applies to specific programs or coursework within an institution and is often associated with professional organizations. IOHS is accredited by the Commission on Institutions of Higher Education (CIHE) through the accreditation of the American Board of Health Education Schools (ABHES). CIHE is recognized by the U.S. Secretary of Education as a reliable authority on the quality of education and adheres to the standards of the Council for Higher Education Accreditation. For information regarding the accreditation process please reference: The Commission on Institutions of Higher Education (CIHE) or the Accrediting Bureau of Health Education Schools. The Maryland Campus of The Institute of Health Science is Institutional Accredited by the Accrediting Bureau of Health Education Schools (ABHES), 7777 Leesburg Pike, Suite 314 N. Falls Church, VA 22043, (703) 917-9503. There are two basic types of educational accreditation, one identified as “institutional” and one referred to as “specialized” or “programmatic.” Institutional accreditation normally applies to an entire institution, indicating that each of an institution’s parts is contributing to the achievement of the institution’s objectives, although not necessarily all at the same level of quality. The various commissions of the regional accrediting associations, for example, perform institutional accreditation, as do many national accrediting agencies. Specialized or programmatic accreditation normally applies to programs, departments, or schools that are parts of an institution. The accredited unit may be as large as a college or school within a university or as small as a curriculum within a discipline. Most of the specialized or programmatic accrediting agencies review units within an institution of higher education that is accredited by one of the regional accrediting commissions. However, certain accrediting agencies also accredit professional schools and other specialized or vocational institutions of higher education that are free-standing in their operations. Thus, a “specialized ” or “programmatic ” accrediting agency may also function in the capacity of an “institutional” accrediting agency. In addition, a number of specialized accrediting agencies accredit educational programs within non-educational settings, such as hospitals. The Neurodiagnostic Technology is approved to be offered by the State of Maryland Board of Higher Education as a long distance education program. The certificate in Neurodiagnostic Technology is accredited by the Commission on Accreditation of Allied Health Education Schools. CAAHEP is the largest programmatic accreditor in the health sciences field. 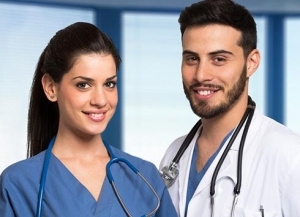 In collaboration with its Committees on Accreditation, CAAHEP reviews and accredits over 2,000 educational programs in twenty (20) health science occupations. The Council on Higher Education Accreditation (CHEA), in cooperation with national and programmatic accrediting organizations, has developed a new, consumer-friendly brochure to help students, prospective students, parents and the public to understand the value of accreditation and the importance of knowing accredited status before making any decisions on whether to attend an institution or program. Ask Before You Decide: Accreditation Matters (PDF – 469k) answers important questions including: What is accreditation? How does accreditation help me to make informed decisions? What questions do accreditors think I need to ask to make smart choices? The Association to Advance Collegiate Schools of Business. The American Physical Therapy Association. The Distance Education and Training Council. The Teacher Education Accreditation Council. 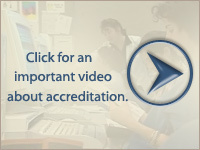 We urge you to learn more about accreditation through reading this important publication.